Abstract In the study of carotid arteries, computed tomography angiography (CTA) allows to analyze, other than the luminal narrowing, the carotid plaque, the carotid wall, as well as the surrounding structures. Moreover by using CTA it is possible to have three-dimensional information with high spatial resolution. 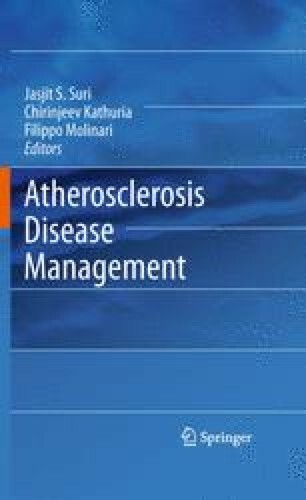 This chapter will detail the role of CTA for the assessment of cardiovascular ­pathology with an emphasis on the detection, analysis and characterization of carotid atherosclerosis. I would like to thank Professor Allan J Fox for his stimulating discussions and the precious support he gave to me in the study of carotids.